As I sit on the Havas that will take me to Istanbul’s city center, I think about all the different versions of me that have sat on the Havas on this ride. The one that had come just out of law school and had nevere stepped foot in this country before, the one that was returning from the disappointment of being denied a student visa to study at LSE, the one that came back from watching Fahad get married, the one that was returning with sadness after a visit to Feraz who was living in London, the one that was filled with joy after returning from an anniversary trip to Romania. And now there is this version. I thank God for each day He lets me live of this life and for providing me with some much guidance, helping me to grow and discover more about myself and more about the world. 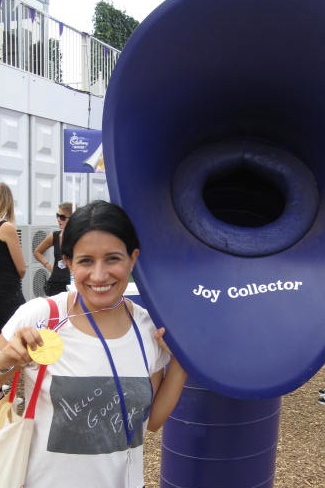 I am coming to stay with one of my oldest friends, Nadiya, and am going to attend the wedding of another friend, Selin, who was my anchor and my sidekick when I first arrived to Turkey in 2009, in desperate need of a friend. I love new friends because they are fresh. There is such an excitement in learning their stories, peeling their layers and finding what lessons they will teach. But there is a very sacred place for old friends. Nadiya knew me when I was a child with buck teeth and big plastic glasses. Although we weren’t friends when we were children, we share the common experience of having grown up in the same community and cultural context. We met-met when I was 18 and a freshmen at Oakland University. Nadiya stopped me in the student union, recognizing me from the musjid, and asked me to come to a Muslim Students Association meeting. I attended the meeting at which Nadiya promptly denied having ever invited me to an Eid party at her house when we were younger. As I recounted the Eid party, Nadiya quickly realized I had been there. Instead of being embarrassed she just laughed. I liked her genuineness and after that meeting we were joined at the hip. Over the next years, Nadiya came to know everything about me. When I got married, everyone told Feraz that he had big shoes to fill because Nadiya was like my first husband and she had done a very good job taking care of me. It was true. Maybe because she was older than me, or maybe because she had been cooler than me when we were young or probably because she has the type of personality that makes you want her to love you, I admired Nadiya and was always happy to let her take the lead in our adventures and our friendship. In return, she was extremely loyal and took great care of me. She knew all my favorite things, she could order for me in any restaurant, when I was down, she knew exactly how to make me laugh again. In every prayer, I would ask God, please preserve our friendship. In 2006, I visited Nadiya in Singapore, where she was living at the time. There we made a pact that we would travel together throughout our lives and since then we have seen Malaysia, Egypt, Turkey and Kenya together. I’m not sure what adventures this trip will bring but I pray it is just one of many, many more. When I am with my dear, old friend, I am reminded of the beauty of our youth, the innocence with which we lived our lives and the great hope with which we took every step. When Feraz first moved to the US, he used to work a part time job at a store and would save up all his money so he could go back to the UK for the summer. Of all the places that he loves in the UK, he loves Aberdare, Wales, the most. When we went to the UK together for the first time, it was the place that he was most excited to take me to. This time while we were in the UK, we visited Wales again. We went to Newport where Feraz’s cousin lives and one day we were able to drive to Aberdare. As we drove past the front of Feraz’s childhood home, we could look out and see endless green. “That was the view I would walk out to every day,” Feraz said. Looking out at the rolling hills and his boys school below, it is easy to see why Feraz will always compare the rest of his life to those idyllic days of his childhood. These kids are having such an amazing childhood. I can easily see them always looking back at these years as fondly as Feraz does. I love that I am able to see this part of Feraz’s life. That I have walked through the corridors of the hospital in which he was born, that I have gone down the path he used to take to school each day and that I have seen his Uncle’s home where he spent so many holidays and has so many memories of growing up with his cousins. Us on August 16, 2012. Nine years! I like how over the years of our marriage, we have developed joint histories. After hearing so many stories of his youth, and having visited some of the places that he grew up in, I feel as if I have been able to share in Feraz’s experiences and through him I have had some of those glorious days of childhood that he remembers. I hope in the same way, although he has never visited them, the streets of Pakistan feel familiar to Feraz. And that when he finally does get the chance to go there, I hope he feels as connected to it as I do to his birthplace. View the full Wales set here. We’ve been quite lucky to meet up with a lot of friends during our trip here. As I mentioned in an earlier post, we got to meet up with our friend Rebecca who I also visited in Kenya but our fun reunions didn’t end there! This is our friend Phil. We met him in while we were in Istanbul and he was visiting his friend David and became quick friends. We were quite fortunate that he overlapped living in DC with us because we were able to spend more time with him but he wasn’t in the States for long. He’s lived in Uganda, South Africa and now in London where he seems to have settled into a job where he has to wear collar shirts (but still jeans on the bottom). He’s all grown up now! We also were able to spend time with our friend Charmian and her boyfriend Steve. Charmian and Feraz did their masters together and have that special librarian bond. She was in New York for her brother’s wedding last year and we were able to have her stay with us for a few days afterwards. We got to see both her and Phil for dinner and a comedy show. We were so happy they both took time to come out on a weekday! We met David and Khristin in the most random way. We were staying at a bed and breakfast in Selcuk in Turkey and the four of us were all having breakfast on the roof. We decided to sit together and started talking and just hit it off immediately. We realized that we were planning to see some of the same sites and became travel buddies. When we were leaving Selcuk, we invited David and Khristin to visit us on their way back to Istanbul and luckily they did! We have been friends ever since! They are Canadian but soon after we met they moved to Paris for work and we’ve been able to visit them twice there and we have been able to meet with David whenever he comes through DC for work. A few days into our trip, we got an email checking in from them and they mentioned that they would be in London and how it made them think of us. Imagine how exciting it was to tell them that we were IN LONDON! We quickly arranged a meet up and got to spend a lovely afternoon with our dear friends that the universe brought to us in the most random of places. Our reunions weren’t just limited to friends but family as well. My cousin Asad has been studying in London and I haven’t seen him since he was just a little kid seven years ago in Pakistan. It was so great to meet up with him and for Feraz to finally meet him. Its so strange to see him all grown up as I still remember him as a little kid who used to chase after his older brothers wanting to do everything they were doing. Thanks for coming all the way out to meet us! And there are some reunions that don’t need words. Here is Feraz with his cousin Zeeshan who was his first childhood friend and lifetime love. For the rest of our pictures from London and Greenwich, click here. 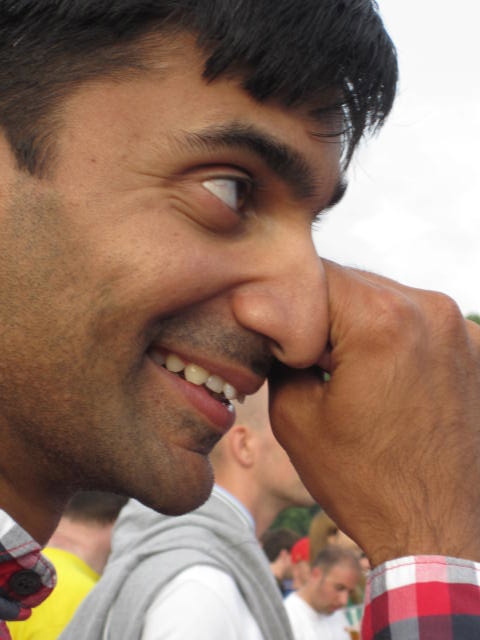 The main reason we had planned this trip to Britain was to see Blur, who Feraz loves. 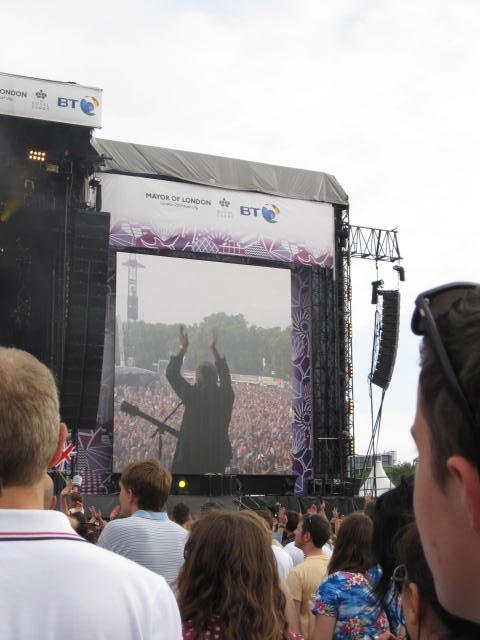 The concert was part of the closing ceremonies in London (not to be confused with the main closing ceremonies concert) and was held at Hyde Park. The sold out concert drew more than 80,000 fans! Because of this, Feraz kept making me prepare like we were going to Hajj. He wouldn’t let me take anything nice with me and even tried to make me take an extra pair of shoes in case I lost mine! I got the gold! One of the first things we did was check out Cadbury Village. We got to Hyde Park really early and checked out the grounds. We were one of the first people to get there so we had time to comfortably check everything out. There were tons of food stands, water stations and toilets everywhere. Oh, the toilets! They were amazing. They were like proper bathrooms and the event staff was doing such a great job of keeping everything clean and stocked. When I am going to be outside for twelve hours, I feel much better knowing that I can pee comfortably! Watching Britain win its last gold medal of the 2012 games. The music didn’t start until 4:30 so we had some time to kill. We didn’t want to be all the way at the front because we thought it might get too crazy for our taste so we pitched a spot a little bit further back. They had the last finals of the Olympics going. I was dozing in and out but woke up to the cheers of all the Brits when Anthony Joshua won the last gold medal for them. Bicycle Bombay Club got things going and I really loved them. I feel like I always appreciate the band I wasn’t going to see because I have no expectation of them and that way when they are good its like you won a contest you didn’t even enter. New Order were next to go on and I was really looking forward to seeing them. But when they came out, it felt really awkward. They are just so old now and it felt like they weren’t able to keep up. I felt so bad for Peter Hook because he looked genuinely tired just a few songs in. It was like watching your grandpa work long after he should have been retired. But! Then things changed and they found their groove and the music really picked up. It was great from that point on and we were dancing so hard that you hardly noticed that Gillian Gilbert now looks like one of the scary aunts from My Big Fat Greek Wedding. I don’t have pictures that capture how unbelievably happy Feraz was but hopefully I’ll be able to upload a video showing him going nuts. 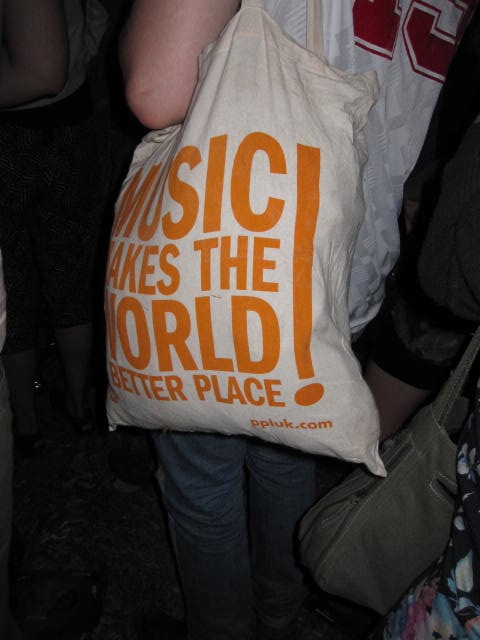 Here he is wiping away a tear while watching New Order. New Order ended their set with Love Will Tear Us Apart. It was really touching. My favorite song was Doesn’t Make it All Right. While we waited for Blur to come on, the screens were used to show a video montage of the Olympics. There were highlights of all the best moments for the British athletes and the crowd was going nuts. 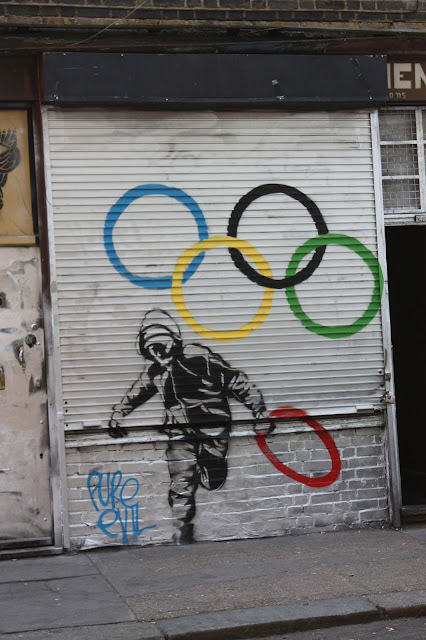 It was great to see all the pride for the athletes and the pride that the Brits had about putting on such a great Olympics. Everyone was cheering and celebrating as different athletes came on. It was great to be part of that energy. And then… there was Blur!! 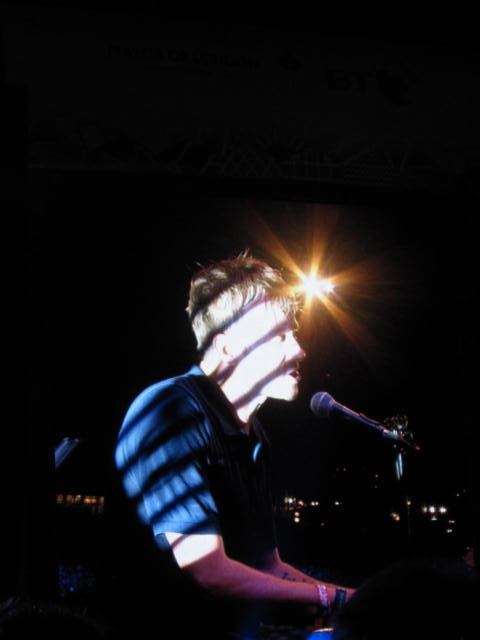 Blur played under a makeshift Westway. Both the set and the setlist were amazing. They started off with Boys and Girls and played some of the greats like Song 2, Country Home, Parklife and Sunday Sunday. Damon also asked everyone to take a moment to remember Syria who wasn’t able to be at the games and there was a moment of silence. 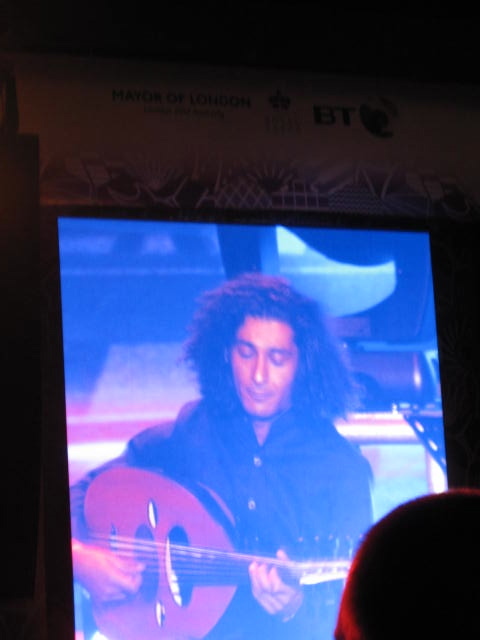 They then played Out of Time featuring the aud player Khyam Allani. Just when you thought you couldn’t love these guys more! Alex James looking as young as ever. Cheese farming seems to be the fountain of youth. My favorite song of the night was Tender. Damon kept letting the audience take it over. My favorite part of being at such a huge show is the energy of the crowd and that incredible feeling you get when tens of thousands of people are singing together to a song that meant something really special to each of them. Since we were up so close, we only really got a sense of how massive the crowd was when they would show them on the screens. Evidently there was a sound delay by the time the music reached the back so when Damon would call out to them, it would take them a while to respond! I’ve also read reviews that say fans were complaining about not being able to hear. I guess they had to lower the sound because of noise complaints in the past. At least they didn’t have to shut it down like the Springsteen concert a little while back! Damon was so emotional at parts! Blur closed with the Universal and Damon mimed and held back tears as the crowd sang, “Yes it really really could happen.” Even after Blur left the stage, the crowd sang a few more choruses. The mutual love was so apparent and made it an unforgettable concert. Today was full of adventures! We set off this morning towards Greenwich but on the way we realized that we wouldn’t get as much time as we wanted there so we changed our plans. 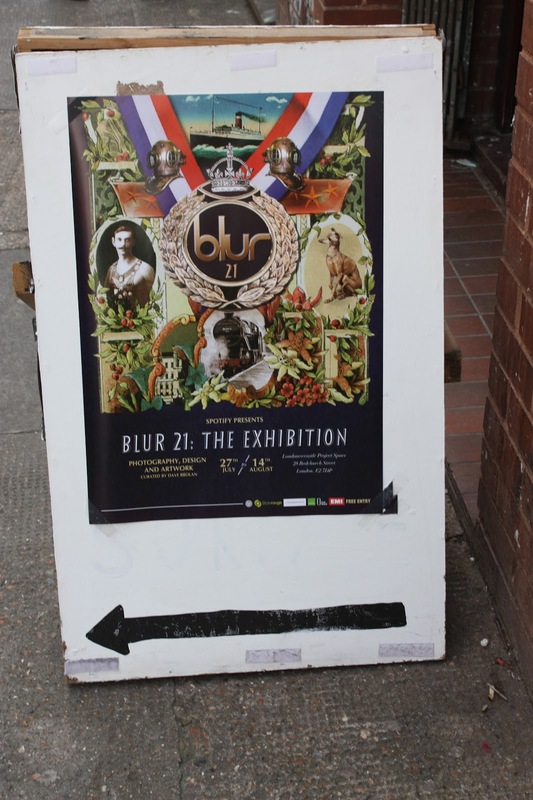 We decided to check out Blur 21 which was a great photo exhibit of Blur since the launch of their first album. It was great because there weren’t too many photos so you could really appreciate each shot they chose to display. Both of us have read Alex James’ Bit of a Blur and Feraz is a huge Blur fan in general so it was quite fun that we got to fit that in. It also got me more pumped for the concert tomorrow. After the theatre we were able to sneak in a quick coffee with our friend Rebecca from law school. I love seeing familiar faces in unfamiliar places. Becks and I have now hung out in Kenya and England. As she put it, we are becoming quite international friends! Finally, we headed over to our cousins Sadia and Vicky’s place. We got to meet their new baby Eesa and hang out with Inaya who is the most clever four year old. She has such a charming personality and I was sad that she had an 8 pm bedtime. In proper British fashion, we had a fish and chips iftaari. Can’t wait to see the family agin when we will all reunite in Birmingham for Eid! Here is the full photo dump for the day. Enjoy! !